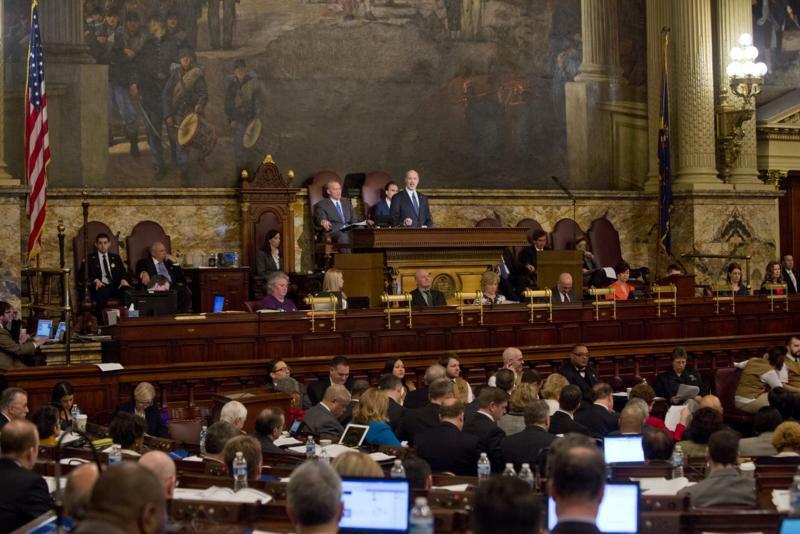 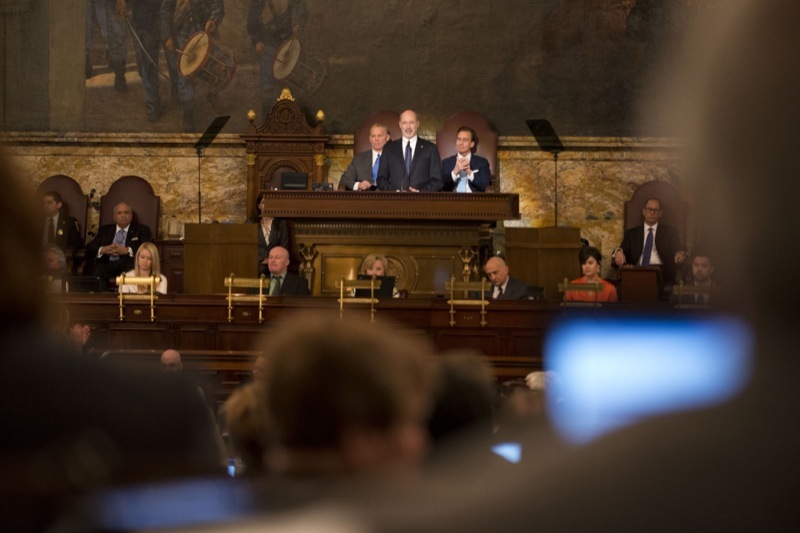 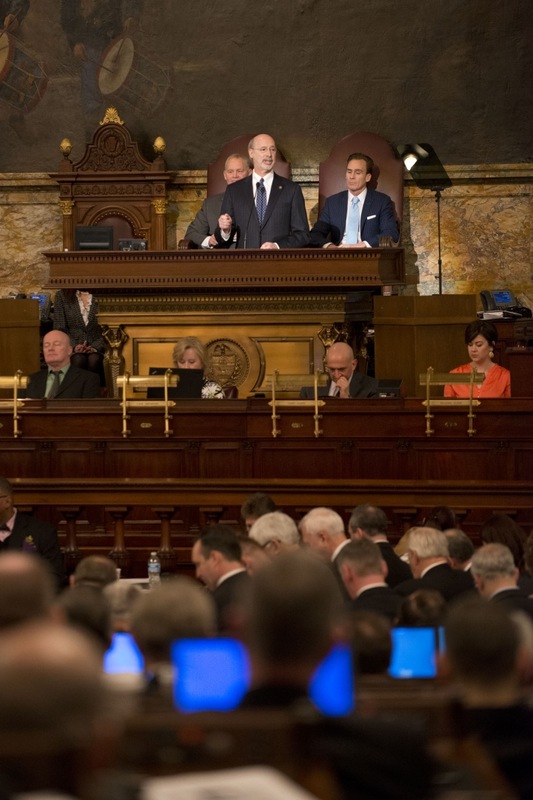 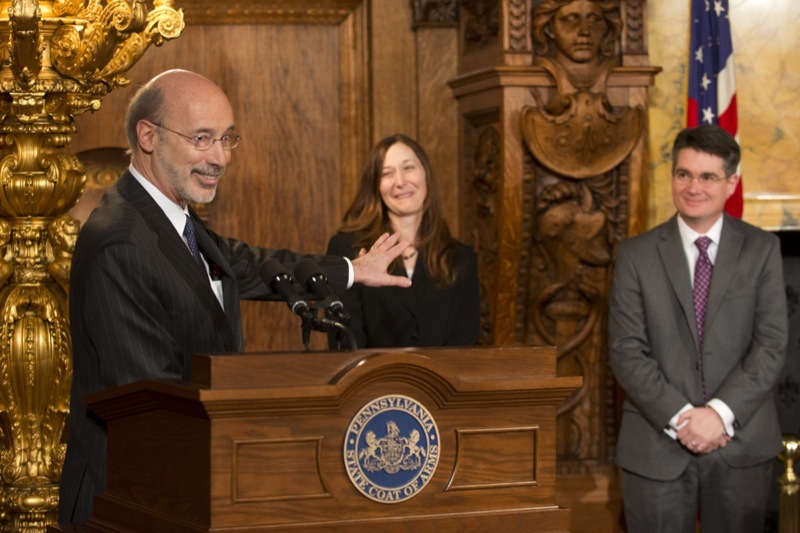 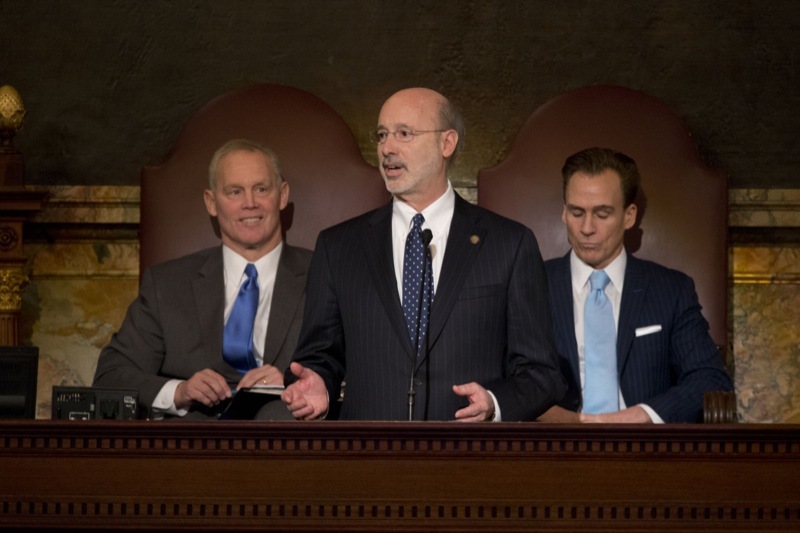 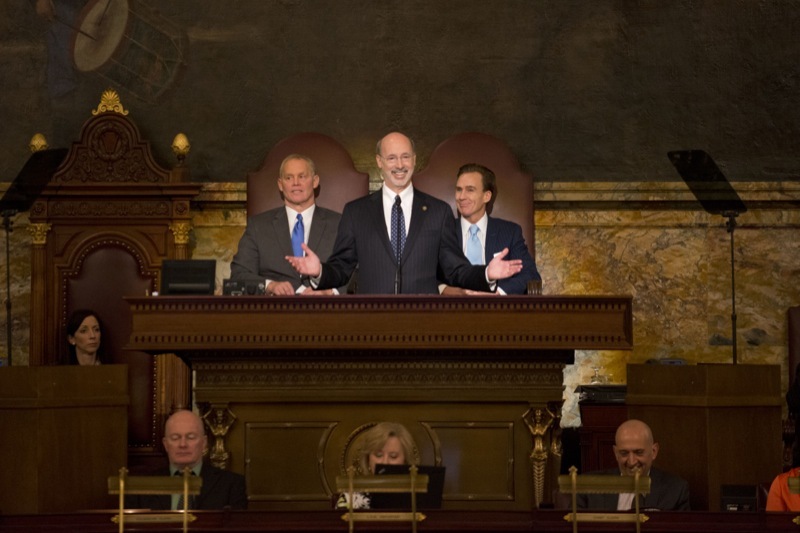 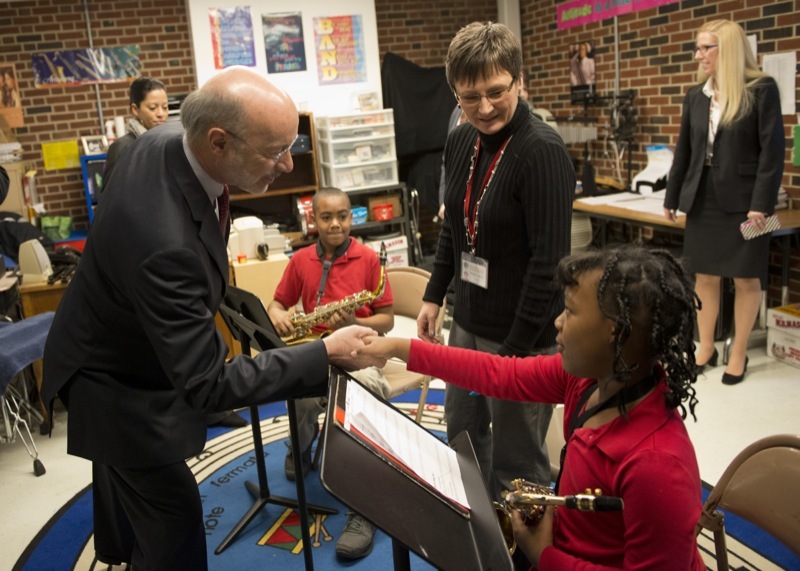 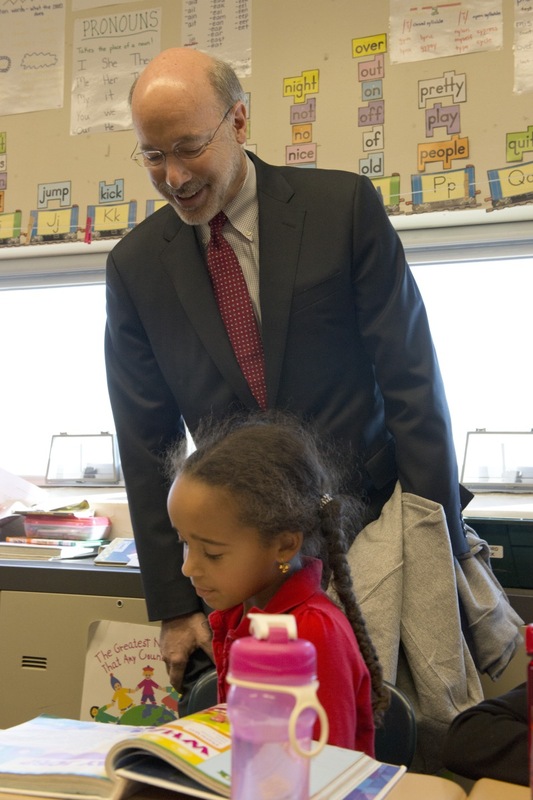 Governor Tom Wolf today announced that his 2015-16 Executive Budget will put Pennsylvania back on the path to success and help rebuild the middle class with a historic investment in education. 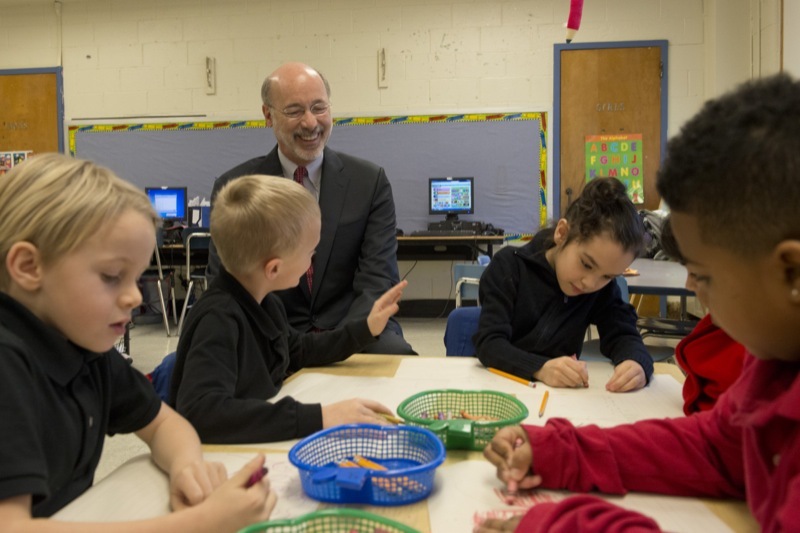 The governor's plan provides more than $1 billion in new funding and reforms for early childhood, K-12 schools and colleges and universities. 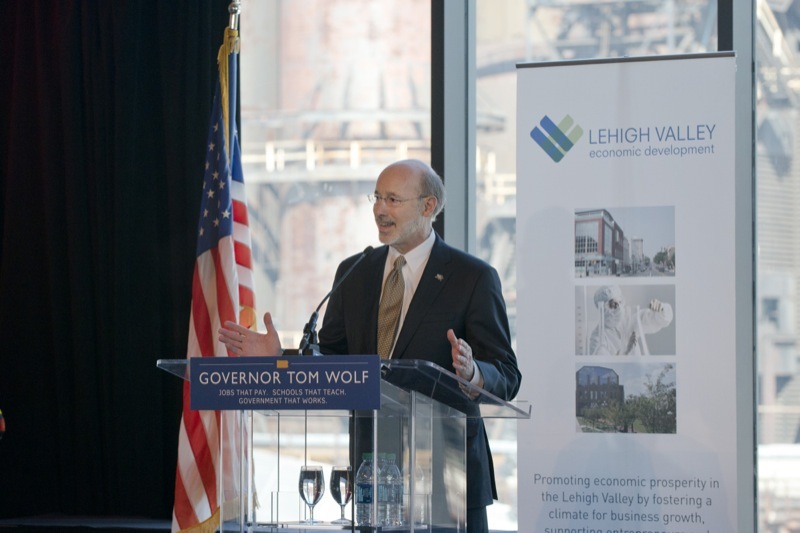 Governor Tom Wolf today announced that his 2015-16 Budget will include significant reforms aimed at three goals for economic development and creating good-paying, middle class jobs: creating a pro-growth business climate; building Pennsylvania's manufacturing sector; and creating workforce partnerships for economic success. 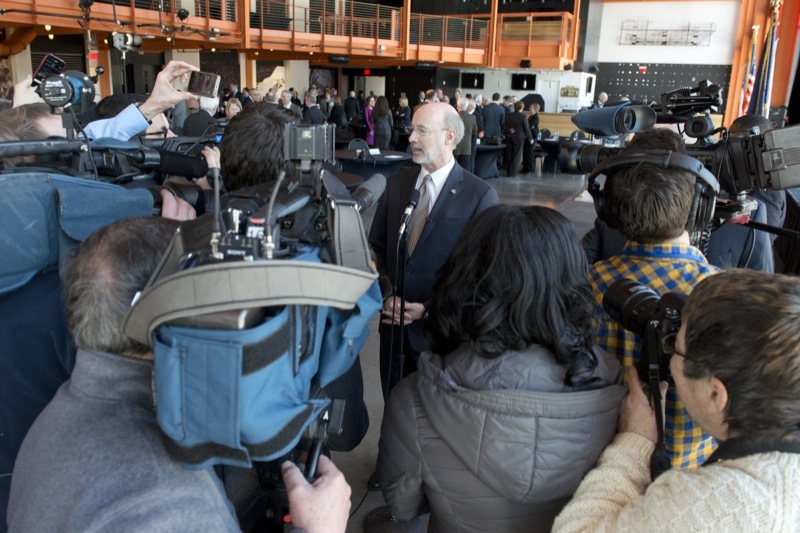 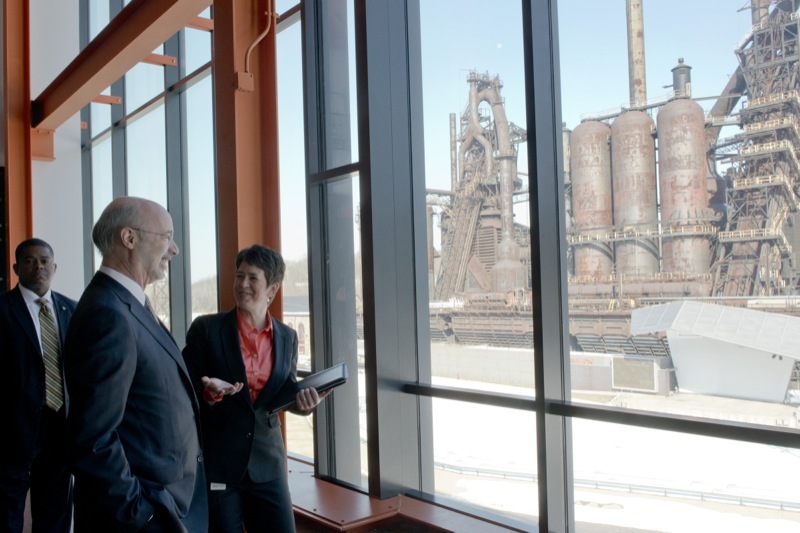 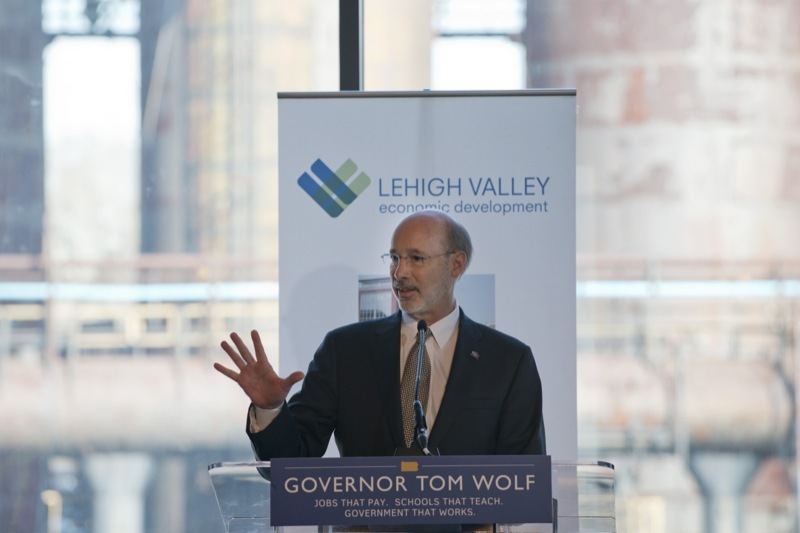 Bethlehem, PA -- Governor Tom Wolf today announced that his 2015-16 Budget will include significant reforms aimed at three goals for economic development and creating good-paying, middle class jobs: creating a pro-growth business climate; building Pennsylvania's manufacturing sector; and creating workforce partnerships for economic success. 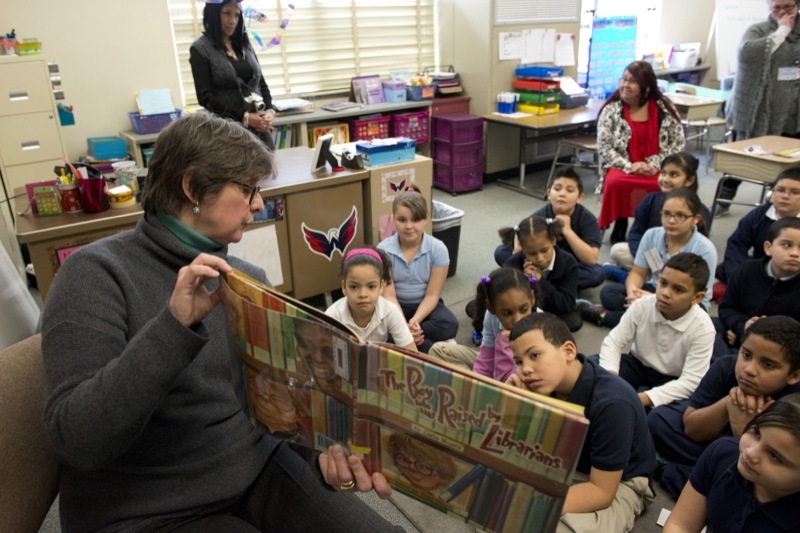 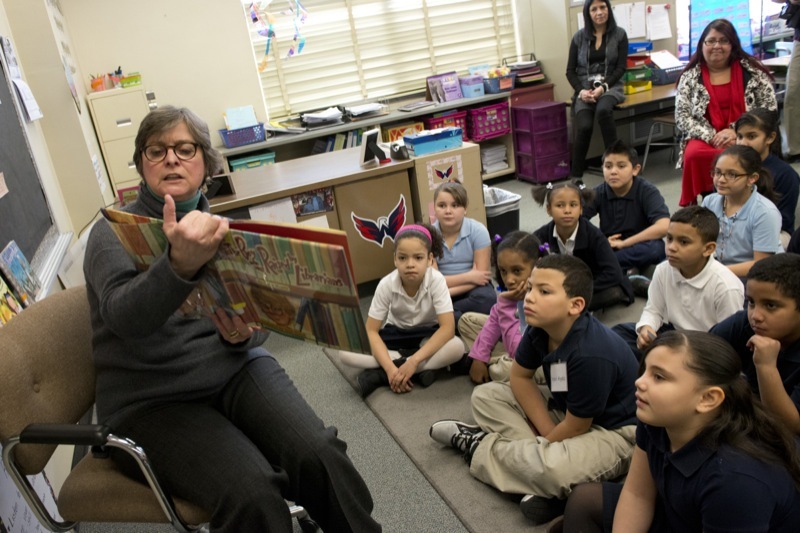 First Lady Frances Wolf made a stop at King Elementary School in Lancaster, PA.
First Lady Frances Wolf made a stop at King Elementary School in Lancaster, PA, met with teachers and staff and read a book to third grade students. 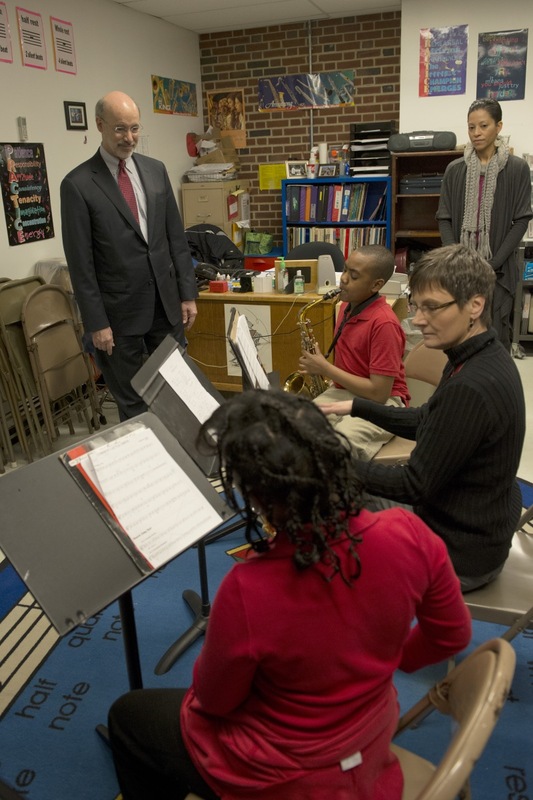 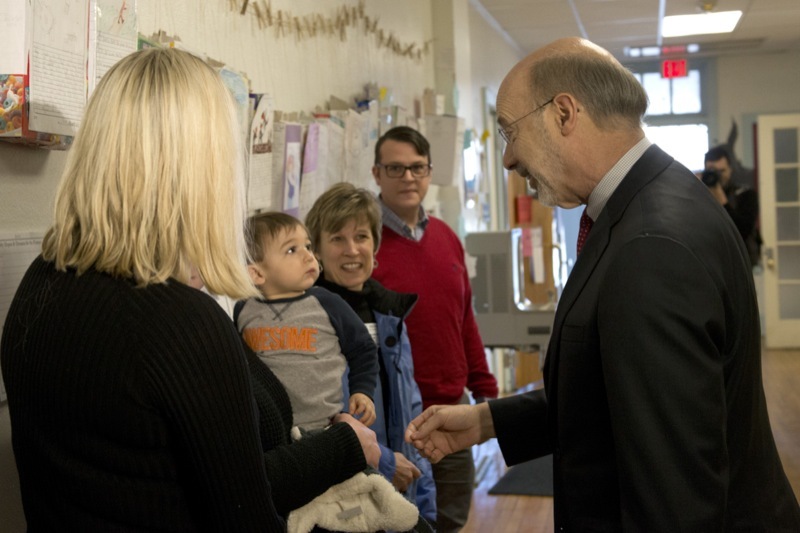 First Lady Frances Wolf made a stop at King Elementary School in Lancaster as part of Governor Wolf's 'Schools that Teach Tour.' 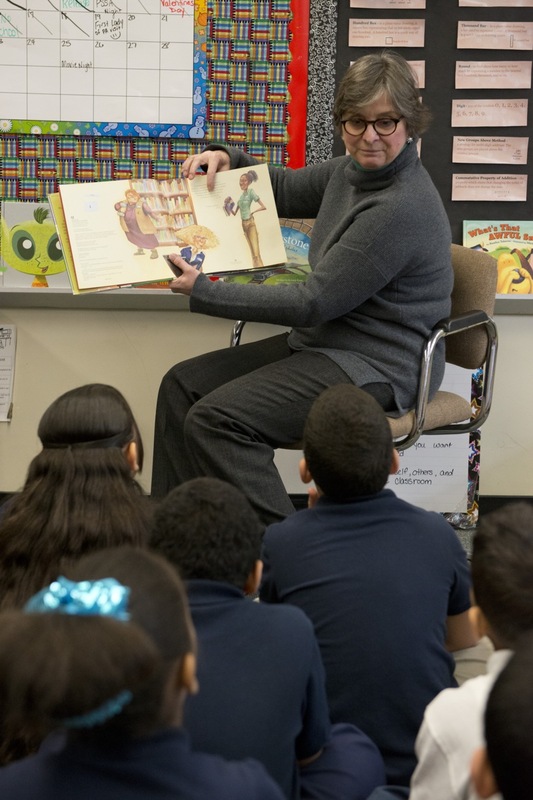 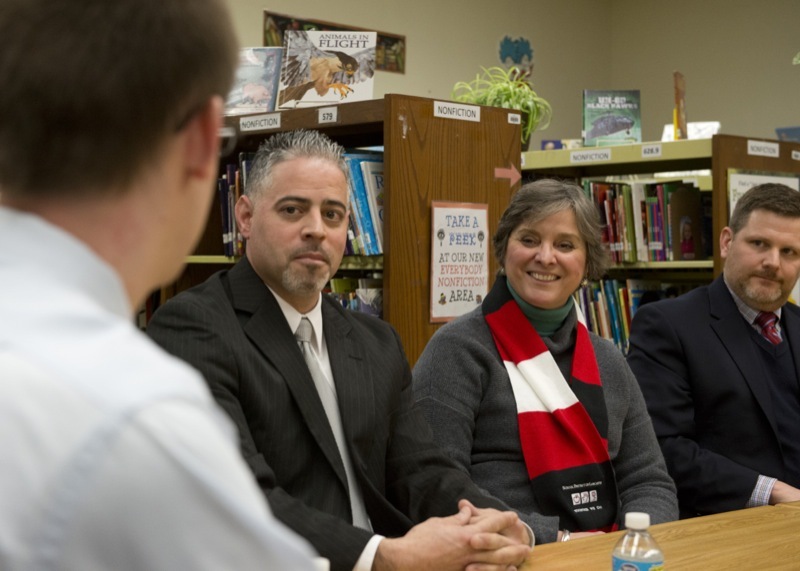 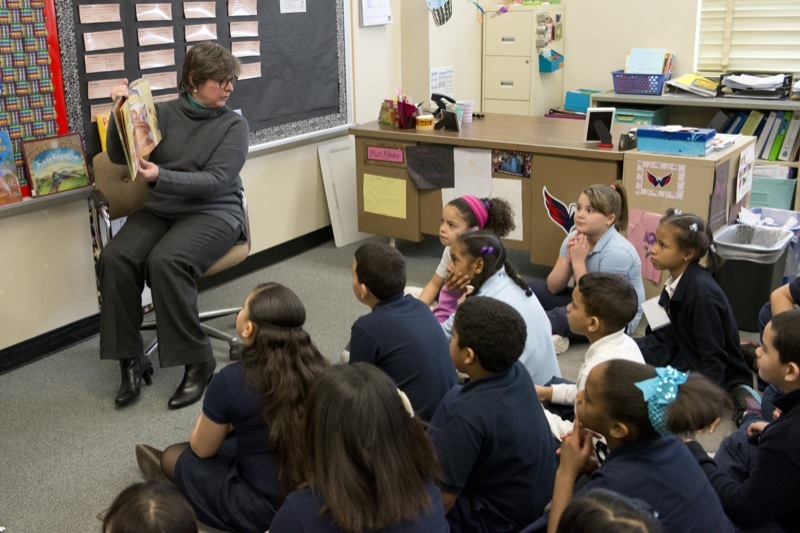 She held a roundtable discussion with school teachers and staff and then visited a classroom to read to the students. 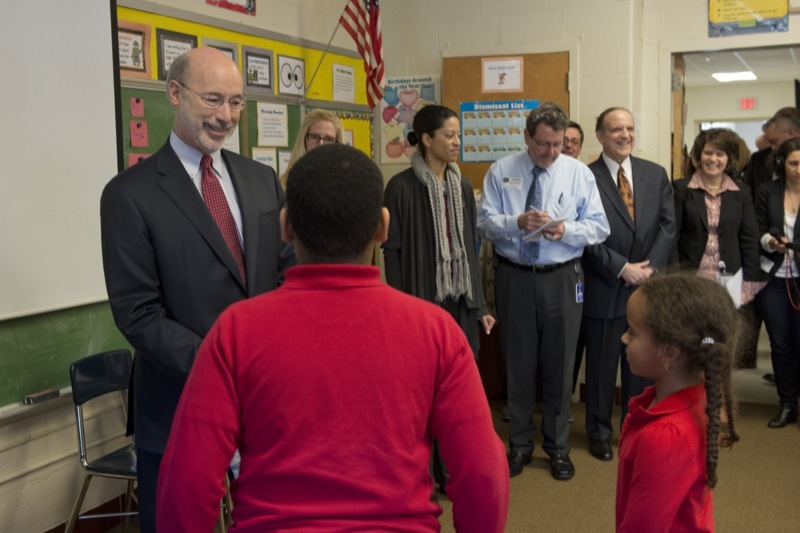 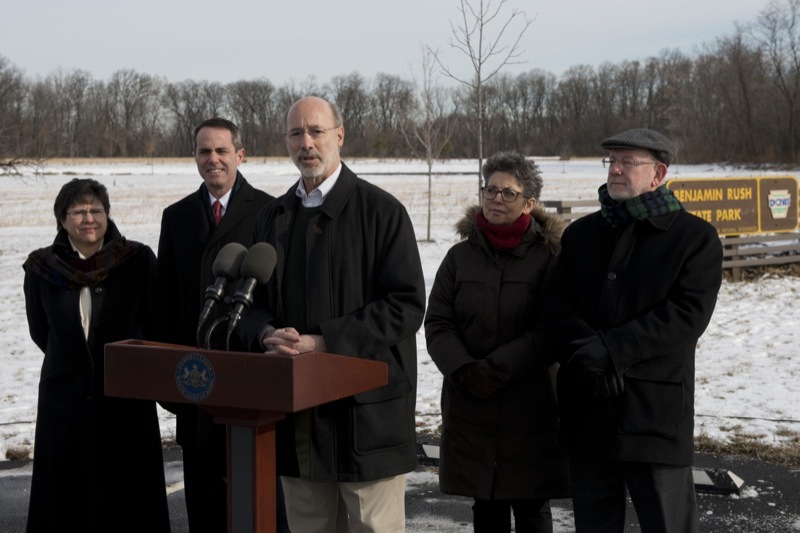 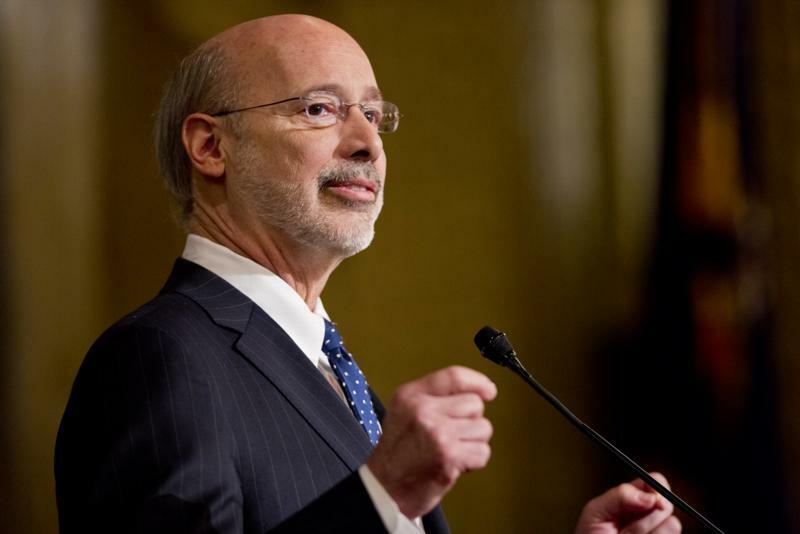 Pennsylvania Governor Tom Wolf today proposed an education reinvestment plan featuring a severance tax on natural gas extraction as part of his solution to properly fund public education in the commonwealth. 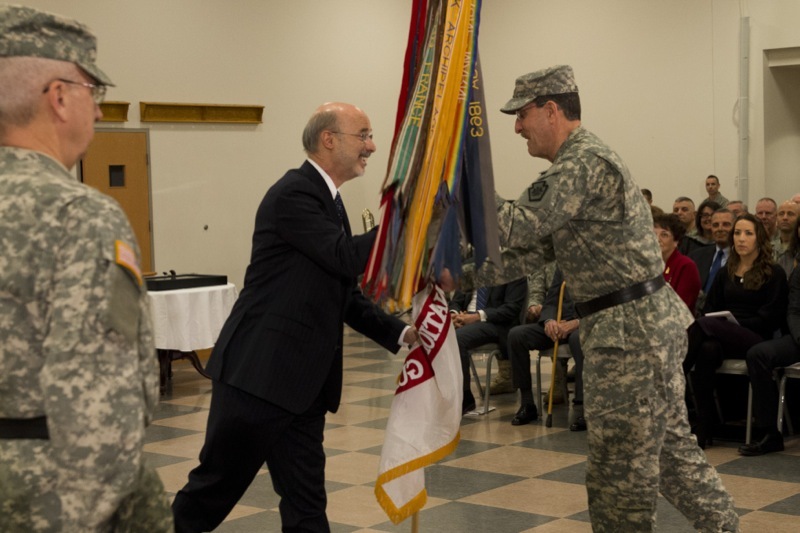 Governor Tom Wolf today served as the presiding official for the Change of Responsibility Ceremony from Maj. Gen. Wesley E. Craig, the 51st adjutant general, to Maj. Gen. James R. Joseph, the 52nd adjutant general. 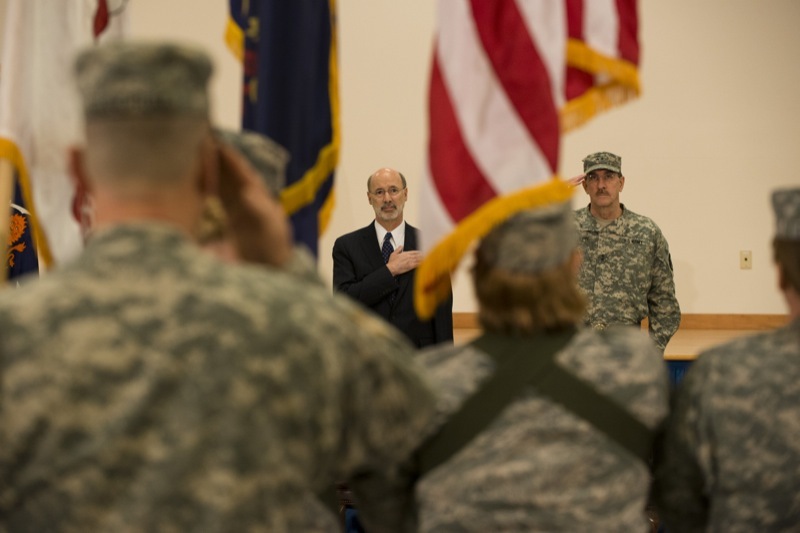 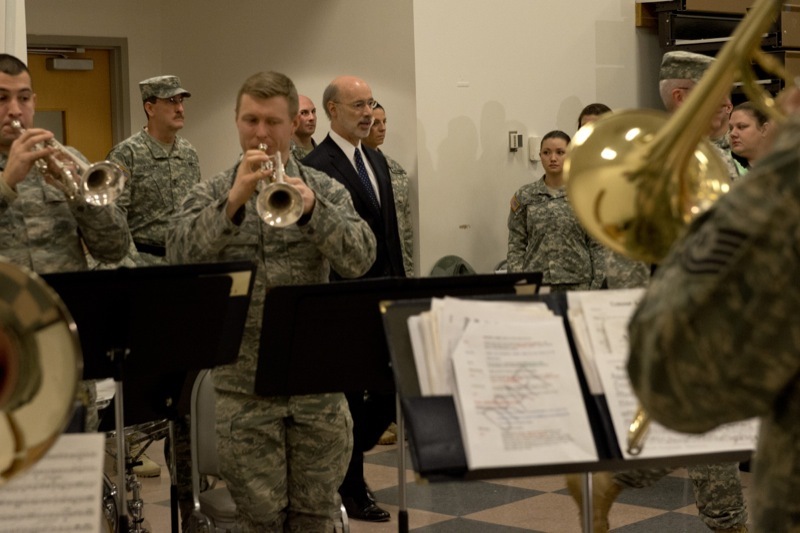 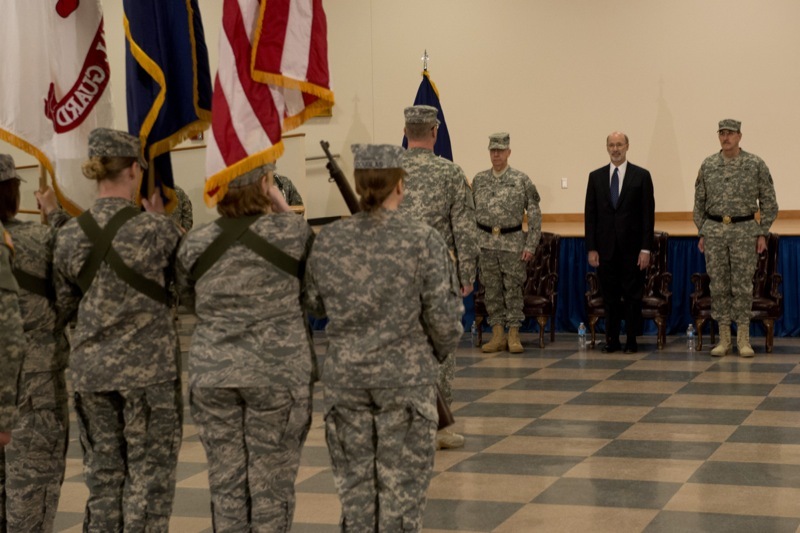 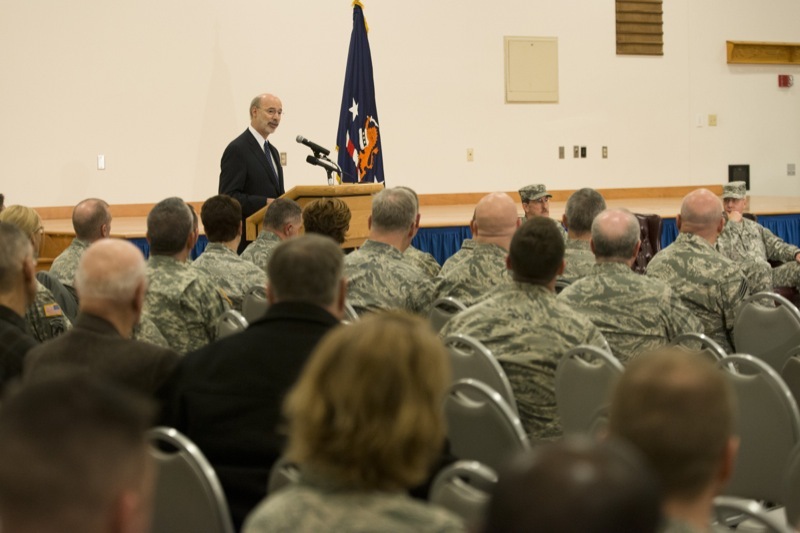 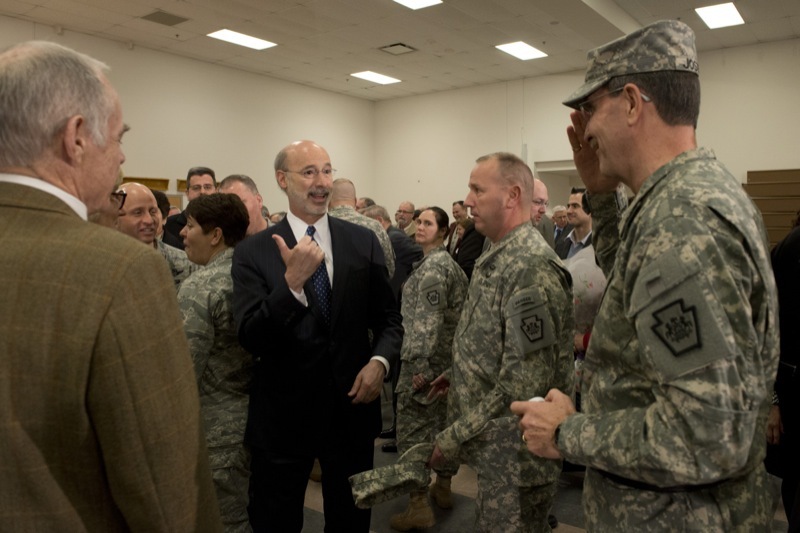 Surrounded by members of Pennsylvania National Guard, Governor Tom Wolf today served as the presiding official for the Change of Responsibility Ceremony from Maj. Gen. Wesley E. Craig, the 51st adjutant general, to Maj. Gen. James R. Joseph, the 52nd adjutant general. 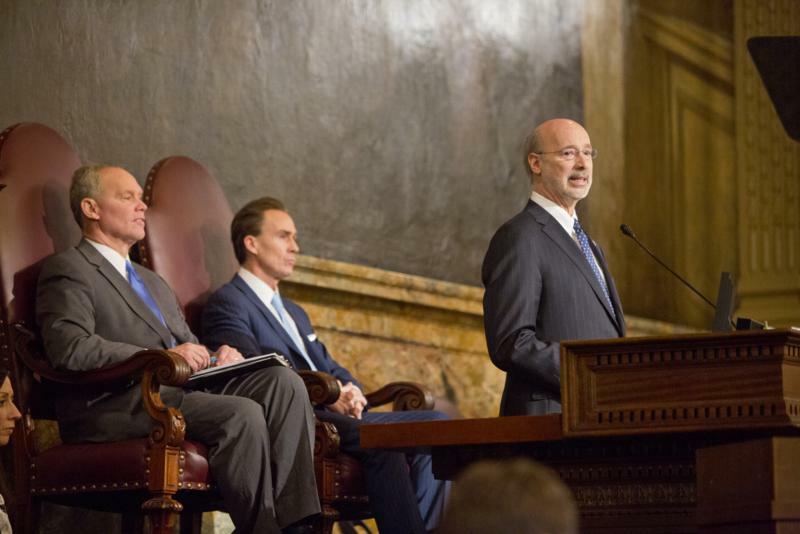 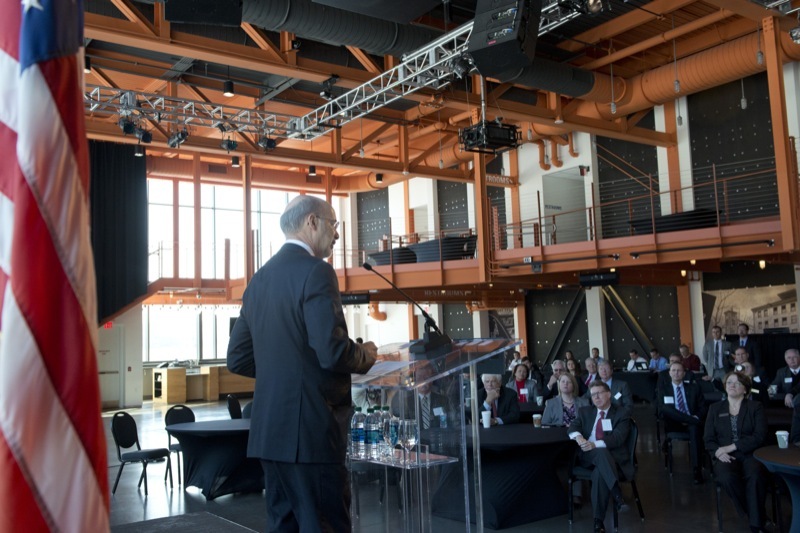 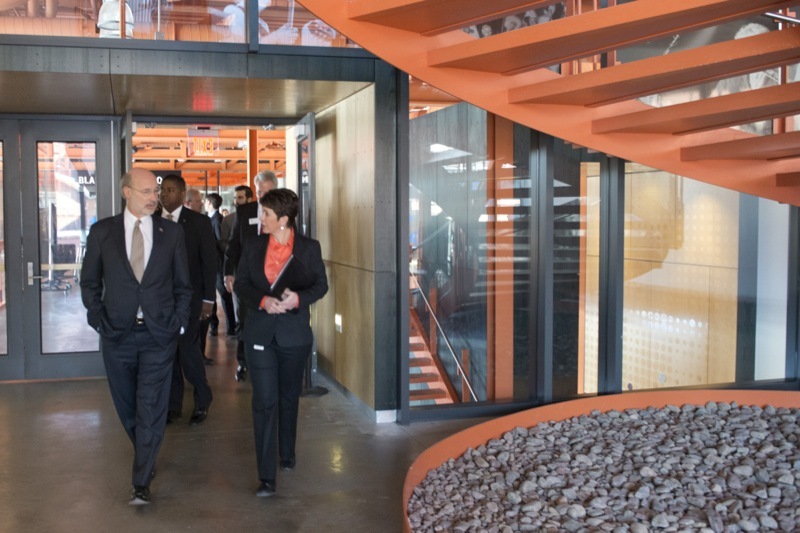 Governor Tom Wolf today signed an executive order establishing the Governor's Office of Transformation, Innovation, Management and Efficiency, which will coordinate efforts driven by agency heads with input from state employees. 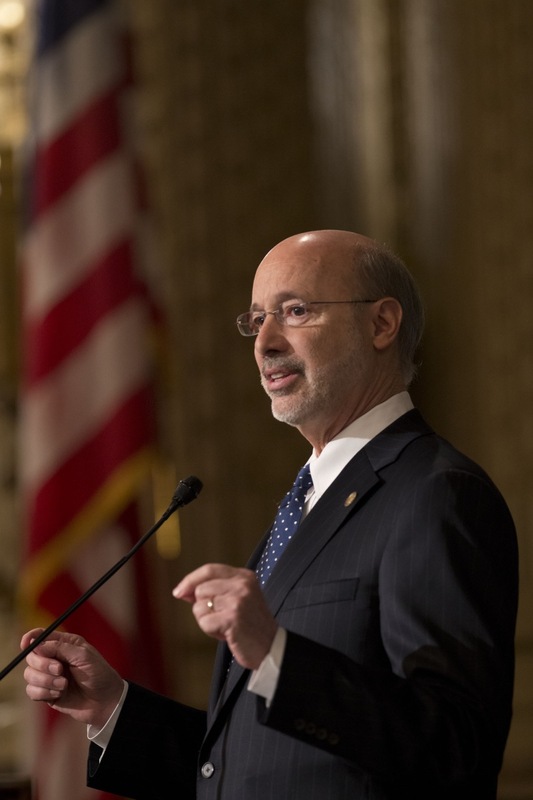 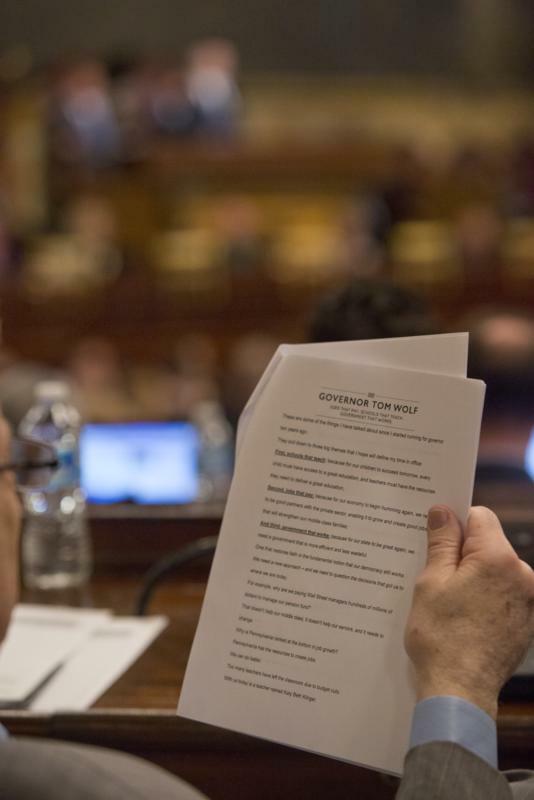 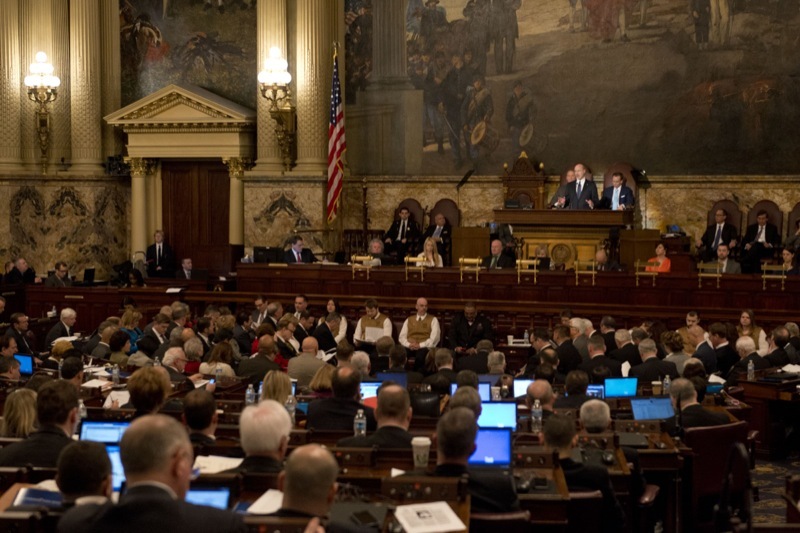 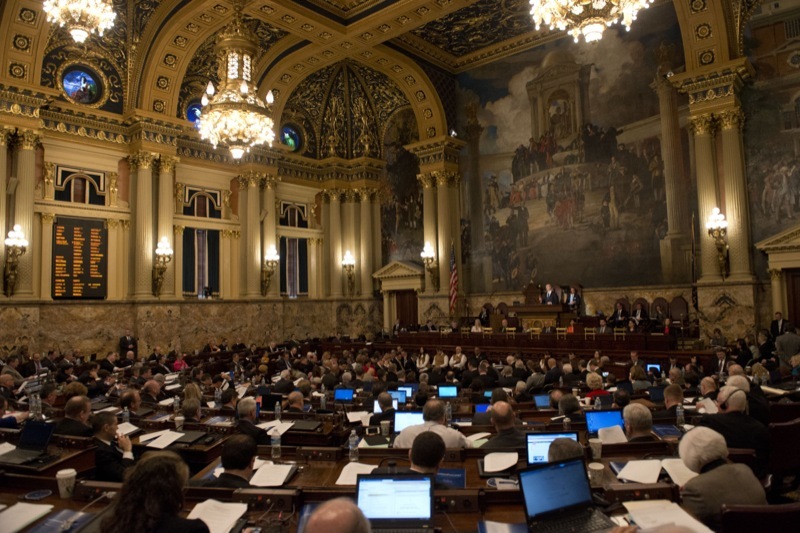 Governor Wolf's executive order also directs state agencies to immediately generate $150 million in cost savings for the 2015-2016 fiscal year to help address Pennsylvania's $2.3 billion deficit. 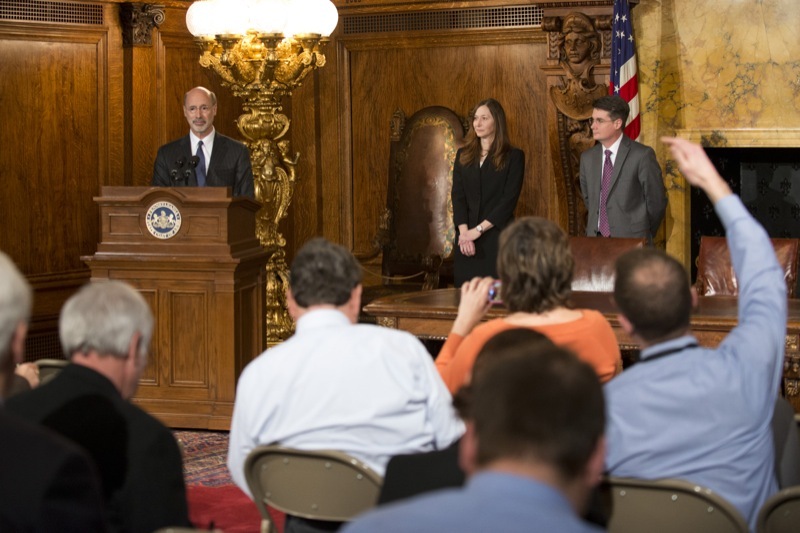 Governor Tom Wolf today signed an executive order establishing the Governor's Office of Transformation, Innovation, Management and Efficiency, which will coordinate efforts driven by agency heads with input from state employees. 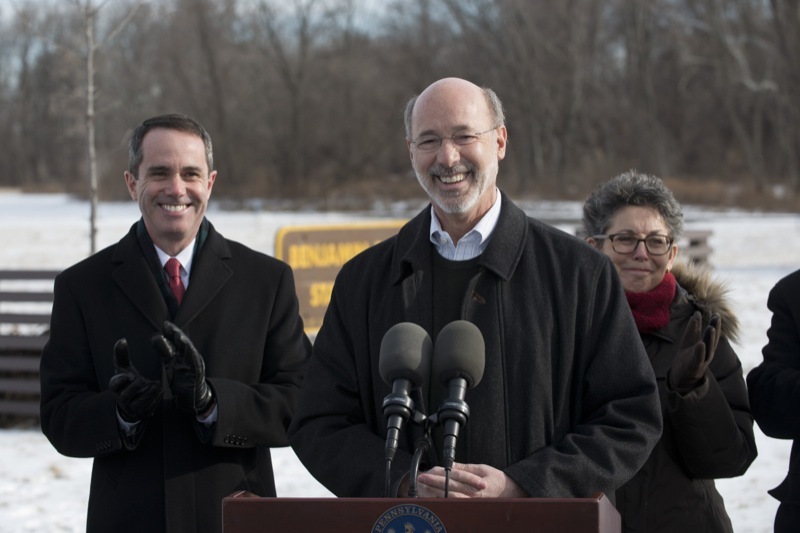 The Prognosticator of Prognosticators, Punxsutawney Phil, once again appeared at sunrise on February 2 at Gobbler's Knob in the Pennsylvania Wilds to make his annual prediction. 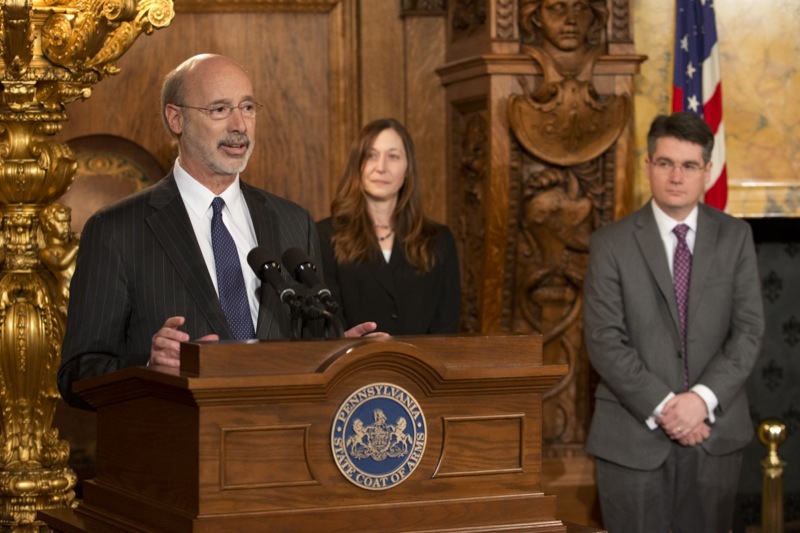 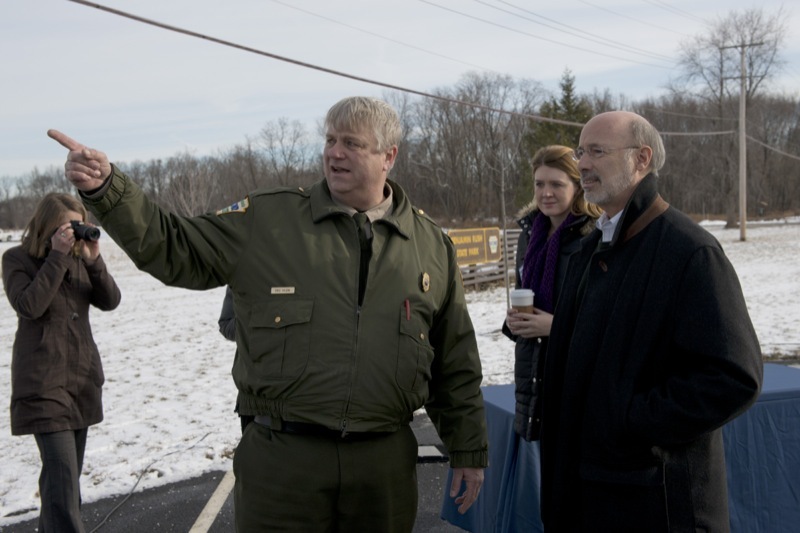 Governor Tom Wolf signed an executive order reinstating the moratorium on gas drilling in state parks and forests. 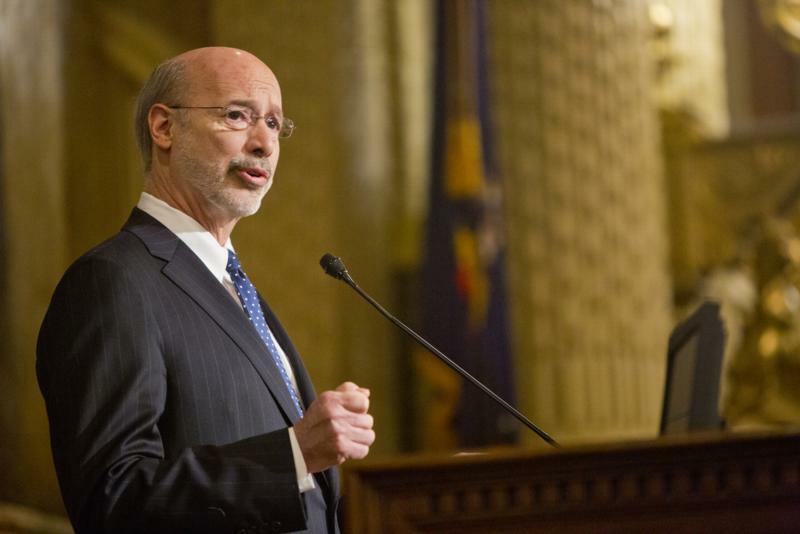 Governor Tom Wolf signed an Executive Order reinstating the moratorium on gas drilling in state parks and forests. 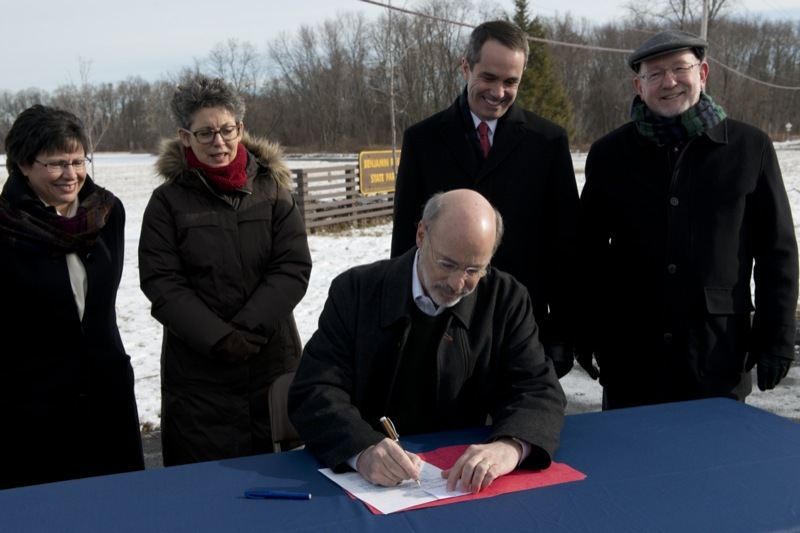 The Executive Order was signed at Benjamin Rush State Park, located in the North East section of Philadelphia.